At the beginning of April, we sent you an update “We have made it easy for you to comply with GDPR” as below. 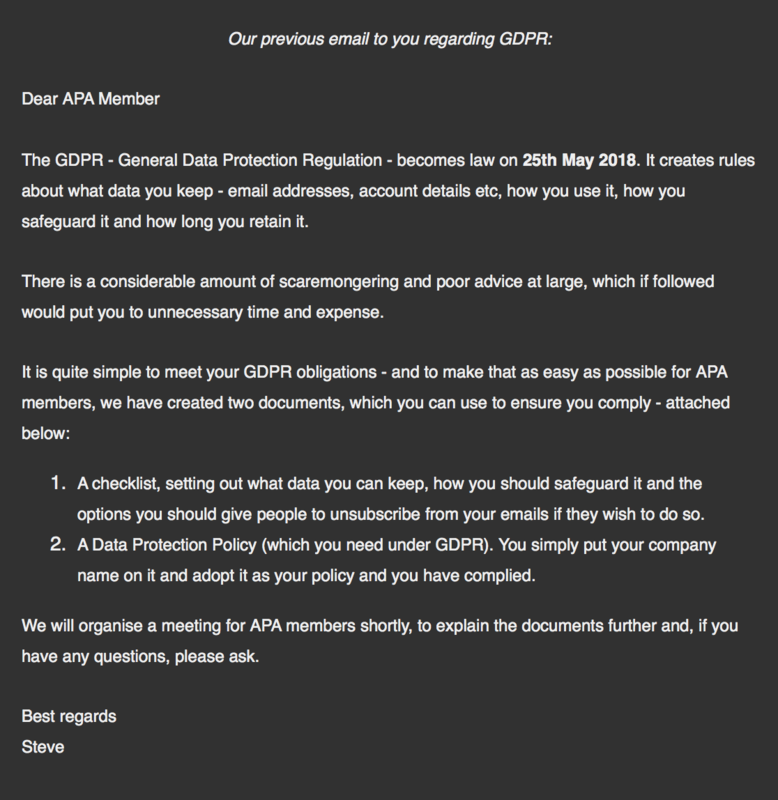 As the email says, there is considerable scaremongering about GDPR and the steps you have to take to comply with it. If you adopt the simple checklist and data protection policy we provided – and available again by clicking on the button below – you can avoid running foul of GDPR without having to undertake the necessary, expensive or time-consuming measures being promoted elsewhere. 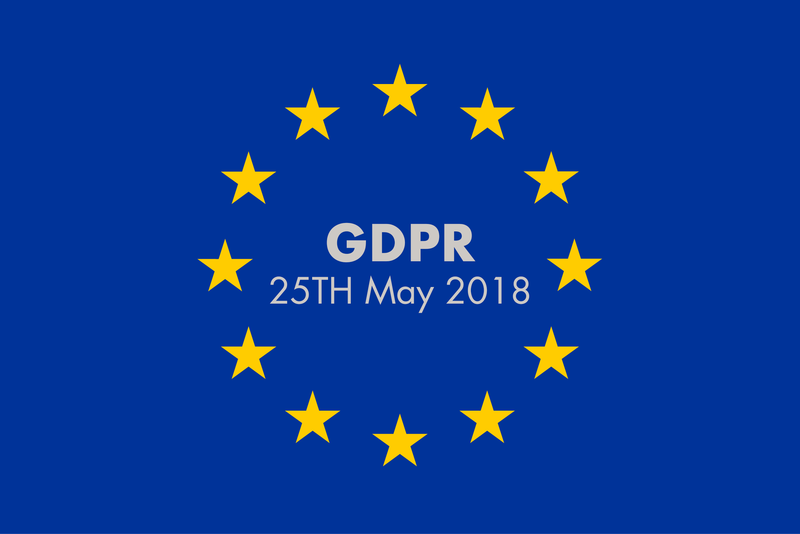 If you have any questions about GDPR, you are invited to a meeting at 5pm on Tuesday 15th May, here at the APA.